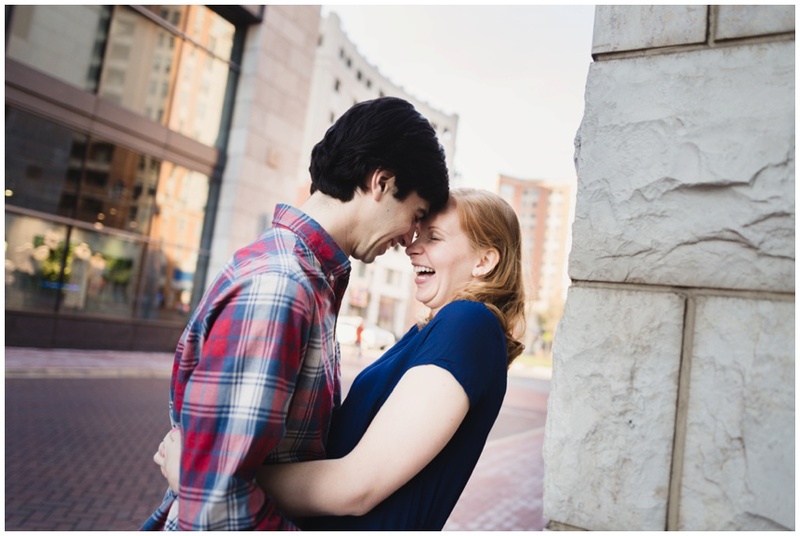 When I first met Nicole and Bryan, it was love at first conversation! Our personalities clicked as we talked about our passion for living in Baltimore, Nicole's job as a teacher (my sister is one too!) and our love of their wedding venue, the American Visionary Art Museum. Since these wonderful lovebirds officially becoming engaged while sailing, we had to capture their love along the water in Harbor East! We debated a few different locations, but when it came down to it, all signs pointed back to the Baltimore waterfront... and you can clearly see how comfortable and at ease they were there! LOVE!!! You two are seriously too cute for words. Once changed into their casual-yet-super-cute-and-so-well-coordinated second outfits, we were off to explore the streets of Harbor East. I can't get enough of how sweet and joyful they are together! They swore they'd never modeled before, but I'm pretty sure they're pros. We came full circle and ended our time together at the water; Light City was in full force, the sun was setting like never before and I was overjoyed to be able to spend my evening with such a genuinely adorable couple. 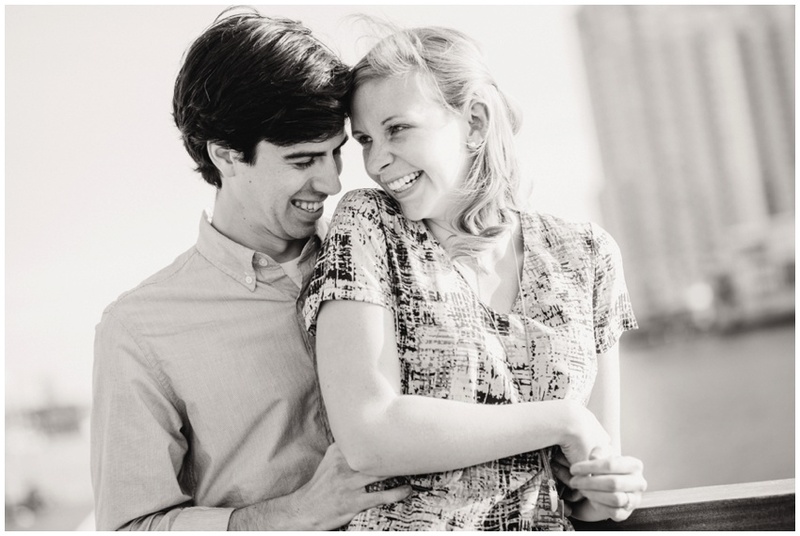 I am SO excited to capture your wedding at the AVAM in July and know it will be nothing short of spectacular!! !